Employ AWS Cloud services to meet mandates, reduce costs, drive efficiencies, and increase innovation. The AWS Partner Competency Program has vetted, validated, and verified that the below partners have demonstrated experience in delivering quality government solutions. Partners that have demonstrated expertise in working with government customers to deliver mission-critical workloads and applications on AWS. Accenture is a leader in U.S. Gov. Private Cloud IaaS., a leader for enterprise cloud application services, and Accenture is a worldwide leader in cloud professional services. AFS has significant reach-back to industry-leading cloud expertise. Our exclusive partnership has led to the formation of the Accenture Amazon Business Group, to help enterprises migrate to and run their business in the AWS Cloud. Almoayyed Computers is an AWS Advanced consulting Partner which offers cutting-edge ICT Solutions to businesses across the region. Almoayyed Computers’ well‑defined application infrastructure and services portfolio caters to a variety of industries/business sectors, including Government. Almoayyed Computers has the skills and track record of integrating solutions while delivering and implementing a host of applications. Aquilent is a full-service Cloud solution provider to the federal government. Offering flexibility and customization at every point in the federal Cloud adoption cycle- Aquilent's offerings include Cloud Broker & Reseller Services, Implementation Services, Cloud Managed Services, Security Services, DevOps Platform Services. Flexible, responsive approach; approved PSN security patterns; pro-active, rules-based monitoring; and great support. Our clients say that our “flexibility and turnaround times are incredible.” We built the UK’s first ‘official sensitive’ application hosting platform on AWS and have migrated hundreds of servers to the cloud for local authorities. Secure migration, critical information assurance and normative fulfillment, saving cost & time of services delivery. Consulting services based on DRII best practices, Homologation of architectures from traditional concepts to cloud terms based on AWS cost-efficient architecture strategies, data migration based on ISO27000 guidelines, OS and DB managed services and local billing. BAE Systems works with their customers to understand and use the AWS cloud to migrate applications and infrastructure, optimize cost and performance, collaborate across teams, and create well-architected solutions. BJSS is one of the largest technology providers to the UK Central Government and the NHS, BJSS works extensively with public sector organizations to build and transition to the cloud. BJSS has built and delivered FCO Crisis Hub, providing FCO staff around the world with immediate access to crucial information during times of crisis. We blend strategy, creative, technology, and analytic solutions to help client's master digital challenges. We transition our government clients’ enterprise architectures from closed systems to open agile enterprises, while rebooting the software development practices that support them. 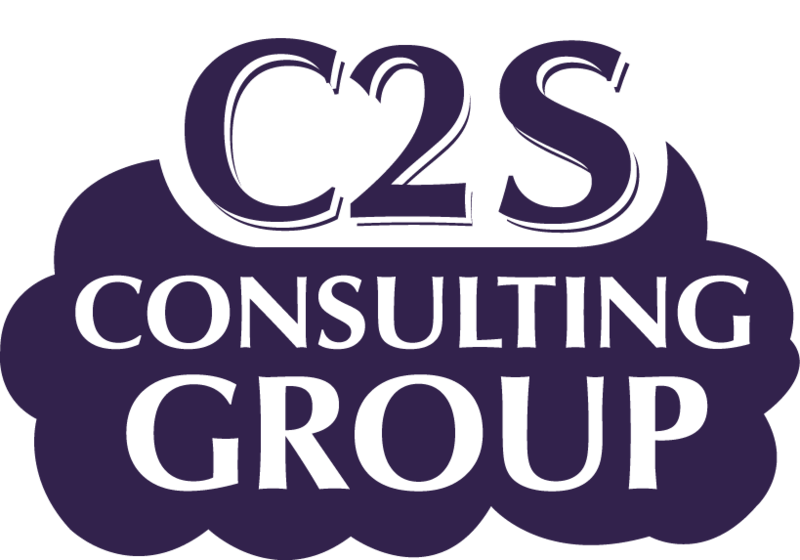 C2S Consulting Group (C2SCG) is a small agile women U.S.-owned professional solutions provider for government and commercial customers, headquartered in Herndon, VA.
C2SCG provides innovative, secure, and agile solutions, transforming and modernizing operations and contributing to our national security, defense, and wellbeing. Built from best practice performing over 200 public sector migrations, the CACI Cloud Solutions Pack (C2SP) is uniquely tailored support that helps customers securely and effectively adopt virtualized cloud services and solutions. CGI has Mission expertise in defense, energy and environment, healthcare, homeland security, financial management, diplomacy and international development and housing. CGI provides In-demand services such as cloud computing, cybersecurity, advanced engineering, communications, enterprise integration, operational logistics, systems engineering and training. Cloudar applies an agile DevOps approach. From strategy to implementation and 24/7 managed services, they provide their clients with the tools necessary to harness the power of the cloud. Cloudar's services and solutions are specifically designed to help these clients meet government compliance and security requirements while helping them to leverage investments and reduce risk in general. CloudMas offers professional services and tools to manage and control cloud infrastructure to customers in the AWS amazon cloud management, facilitating their integration, aggregation expediting billing systems and reducing costs significantly. Our team of experts gathers more than 50 certifications and works hand-in-hand with our customers, offering flexible, scalable and robust solutions tailored to each customers' specific business needs. Focusing on DevOps, DevSecOps and Security, Cloudten are experts in the design and delivery of AWS solutions for government clients. Our AWS-certified staff are specialists in all aspects of cloud architecture and DevOps techniques, with emphasis on security, application integration and related technologies. Working closely with AWS, Cloudten delivers end-to-end competencies to implement secure, compliant workloads within regulatory frameworks across enterprise and government. Coalfire simplifies compliance and reduce risk for government entities. Coalfire helps to create cybersecurity solutions to support mission goals. Coalfire can help customers meet a multitude of compliance standards associated with government. The Consegna Public Sector Practice works in partnership with New Zealand Public Sector agencies to understand and manage the complex issues around adoption of the Public Cloud. Consenga works with agencies to develop and execute a roadmap to public cloud adoption, which delivers scalable, cost-effective solutions to increase innovation and drive efficiencies for agencies. CTAC has helped architect and deliver custom cloud solutions to 14+ agencies and clients. CTAC has in-depth experience with Amazon Web Services (AWS). CTAC provides comprehensive technical expertise and delivers low risk, full scope web solutions such as Cloud, DevOps implementation, Application Development with Agile methodologies, Digital transformation, and API development. DAE provides a wide range of systems engineering, cloud architecture and design, cloud-native development, and cloud consulting, rapid prototyping, cloud cost management and optimization services. Deloitte provides a breadth of services to help federal government agencies select the right cloud solutions to accelerate their missions and derive value while helping agencies to be at the forefront of tech and innovation. Deloitte offers full life cycle integration services to support cloud journey for government agencies, including - Strategy & Transformation Services, Cloud Native Services, and Data Discovery Services. Customers benefit from DLT through: education, acquisition guidance, migration services, expansion coaching, and management. DLT's solutions include: mentoring customers on their most suitable path to the cloud, identifying problem areas within existing environments and suggesting solutions, providing AWS customers with the ability to rapidly procure IT services, and allowing AWS customers to scale up or down as needed. One-stop partner for cloud solutions and services to address all the AWS requirements for the public sector. ECS offers leading AWS Managed Services, Consulting, and Resale solutions combined with 3rd party tools, compliance, and 24x7 support to deliver the most secure mission critical workloads for the public sector. Enquizit helps customers achieve their mission objectives through application modernization and cloud migrations using secure, resilient and optimized cloud infrastructure powered by AWS. Enquizit, an 8(a) firm, empowers its customers leverage AWS through easy procurement options, customized agile methodology that focuses on lean principles and DevOps automation. GDIT is a trusted cloud consulting partner with experience providing cloud services for more than a decade to government agencies and large organizations. General Dynamics IT utilizes a multitude of AWS services to deliver cloud solutions for our customers. Where appropriate to the solution, GDIT will partner with ISV partners to provide the best possible AWS solution for our customers. Infiniti’s team of solution architects and government professionals apply their work on cloud projects that utilize expertise in Architecture, Migration, DevOps, SysOps, Machine Learning, Security, DR & Storage. For 15 years, Infiniti has successfully delivered complex public-sector IT and cloud services projects on time and on budget. Government organizations dramatically reduce costs and improve citizen services by moving to AWS with Itera. Itera knows about government challenges. Careful assessment and migration to AWS Cloud, together with effective daily infrastructure management, help government organizations achieve IT goals that can't be accomplished in traditional datacenters. JHC Technology’s CORE Solution delivers a proven, FISMA Moderate, zero-trust architecture for the cloud. We deliver a standardized approach to custom solutions that meet Government requirements, leading to six Government agency ATOs with AWS IaaS. CORE centralizes management through a layered security model across a multiple-VPC environment. Improving the experience for people who use government services by making operational and fiscal savings for public bodies and reducing the cost. More agile in delivering public services. Leidos is committed to solving our government’s complex problems through the ingenuity of our team and our culture of innovation. With our expertise in IT, engineering, and science, we focus on making the world safer, healthier, and more efficient. We are an end-to-end solutions provider with dedicated professionals who specialize in creating unique, innovative, and sustainable solutions by unleashing the power of the Cloud. We identify your needs and provide the right solution to meet your performance, scalability, and security requirements. We secure, architect, manage and operate government IT systems for the cloud, reducing operating cost through automation and innovation. Lockheed Martin has been a leading IT provider and systems integrator to the US Federal Government for the past 21+ years. We support the most complex government organizations in the world with state of the art IT solutions, industry leading cyber security and cloud services. NCS does not just leverage technology – we create value with it. NCS innovations are meticulously developed with customers in mind and are aimed at empowering any business through the deployment of cutting-edge technology AWS. NCS is dedicated to smoothening their customers' journey to the AWS Cloud. NCS is committed to walking alongside their customers to ensure they have the best cloud strategy that fits their Digital Transformation needs. Effective cloud technology enablement is driven by certified, experienced staff who are experts at balancing performance, risk, and cost. Northrop Grumman brings this experience. 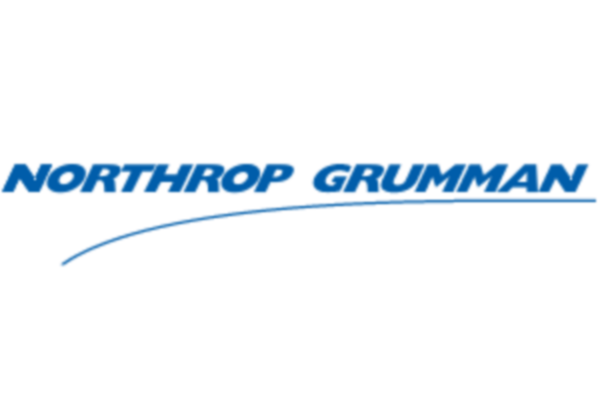 As a proven leader in Cybersecurity, Northrop Grumman can work with you to develop and implement comprehensive security in support of mission-critical environments. By enabling the Trusted Cloud, customers can focus resources on their core mission. Novetta’s Cloud Transition Framework helps Government customers quickly execute in AWS securely. Grounded in more than 25 years of real-world success in big data, we have developed some of the world’s most advanced analytics solutions driving the technology renaissance in the government. With the convergence of commercial and national security priorities, we are applying our technology to help both governments and corporations protect their networks, reduce risk, and make data-driven decisions. REAN Cloud migrates enterprise workloads to AWS via DevOps automation of performance, security, & compliance. REAN Cloud brings a proven Migration DevOps Methodology to dramatically improve the speed of migration execution. Our solution helps to secure applications while leveraging the flexibility, scalability, elasticity and cost-savings of the AWS Cloud. SAIC services provide Government clients fit-for-purpose solutions and mission-supporting outcomes. SAIC helps government agencies build and operate agile, secure, and mission-focused digital businesses. SAIC's approach leverages proven methodologies, vendor alliances, and a highly qualified workforce. FedRAMP compliant solutions for managing and monitoring secure government workloads. Smartronix Cloud Assured Services help government agencies through the entire IT transformation process from strategy, to migration, cloud optimization and secure 24x7x365 FedRAMP compliant Managed Services. stackArmor is an Advanced AWS Partner Network (APN) member with expertise in providing NIST, FISMA and FedRAMP compliant cloud hosting solutions on the AWS EC2 platform. stackArmor is a AWS certified provider of Cloud migration, DevOps enablement, Cloud-native IOT and Data Analytics solutions provider. Stratus Solutions provides security, cloud infrastructure, and development operations to support the complex missions of government agencies. Stratus supports the government with people and technology to enable mission-critical work. Orión, a trusted advisor, 14 years helping our government accounts to accomplish their goals. Our experienced and professional architects ease the innovation and agility for citizen management, and provide a secure and compliant approach to the entire AWS Platform. Consulting services to aid in rapid adoption of AWS & enhanced security integrated with native AWS offerings. Unisys provides full life-cycle cloud consulting, implementation, application migration and management services. Unisys’ Stealth(cloud) for AWS cloaks EC2 instances from unauthorized users and isolates communications between instances in a VPC. Technology Partners that provide innovative, cloud-based solutions for government customers that comply with the highest AWS standards. Adobe technology opens the door for government to implement compelling new solutions focused on the citizen experience. Create, manage and deliver digital experiences across websites, mobile sites and on-site screens that are global in reach, yet personally relevant and engaging. This solution also allows you to simplify the creation, processing and securing of electronic forms and documents. Appian delivers a modern enterprise platform for digital transformation that is accelerating solution delivery for the benefit of Government stakeholders. With Appian, Federal Government key initiatives, including: Constituent Case Management, Regulatory and Statutory Compliance, Eligibility and Enrollment, Investigative Case Management, and Acquisition and Procurement can be easily deployed using our low­code, FedRAMP certified platform. OneBlink’s application development environment is proven to increase the velocity of app deployments and reduce the app backlog for Government Agencies. Unlike app development ‘tool sets’ that address specific ‘skill sets’, OneBlink is a true collaborative environment that unites your business users and IT in scalable app development. As a code-option environment, Onelink allows government managers and team leaders to implement app projects in a low/no-code environment and get projects off the ground quickly, safe in the knowledge that IT can take this early work and further enhance it to be enterprise compliant. Government IT departments and contractors can allow the business users to ‘prime’ their projects and have full access to usage analytics to remove the risk of determining which projects will deliver an outcome from a further investment of time and resources. CloudCheckr's comprehensive platform unites cost, security, and compliance data for easy AWS management. CloudCheckr provides reports, alerts, and automation to simplify cost, compliance, and security management. With CloudCheckr, users are able to leverage the power of AWS while still maintaining control of their environment. Druva specializes in addressing areas surrounding Data Loss, Data Leaks, and Data Governance. Their unique expertise keeps data safe from corruption or accidental deletion; and their solutions prevent the mishandling of highly regulated information by unauthorized users as well as establish a single point for policy enforcement. Image API specializes in taking public sector clients ‘paperless’ with highly configurable, scalable and integrated process and content management solutions that improve security, optimize operations, and lower costs. Image API digital content management solutions reduce or eliminate the need for paper, file storage, and time spent searching for documents. Through our partnership with AWS, we offer highly secure, reliable, and scalable private cloud solutions that enable business process automation. Infor CloudSuite Public Sector is a highly secure and flexible cloud-based solution suite build specifically for government organizations. Infor CloudSuite™ Public Sector helps manage budgets, payroll and assets, and deliver better citizen services—all in a cost-effective cloud environment that delivers unmatched efficiency, reliability, security, and compliance. 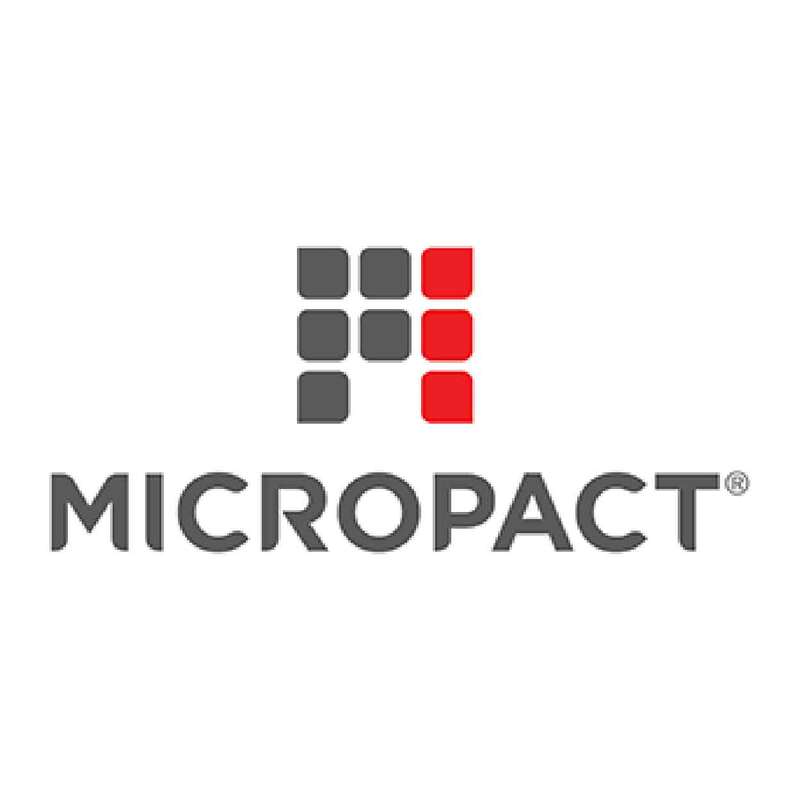 The MicroPact entellitrak platform is a low-code application development platform for case management. Purpose built for the public sector, the entellitrak platform enables organizations to rapidly build and deploy continuously configurable, highly interoperable, case management and business management solutions. For technology teams who are facing a new world of complexity, New Relic gives you deep insights into the performance of your digital business. NS2 Secure CloudEdge is a HCM SaaS offering in a FedRAMP node that simplifies deployment and has US Citizens support and operations. The solution delivers a US Federal Node, built on the AWS GovCloud (US) region, for the SAP SuccessFactors SaaS portfolio to address Federal Civilian and Department of Defense customers that have FedRAMP and DISA security compliance requirements. Okta enables organizations to securely store and manage users, increase productivity and lower IT costs. Okta’s IT products are geared toward IT and security leaders. At a very high level, these products simplify the way users connect to enterprise technology, while increasing efficiency and keeping IT environments secure. OpenDataSoft is a platform that has been specifically designed for non-technical users to share, publish and reuse structured data. SaaS-based and with a cost-effective approach, it is the perfect solution to get the best out of your data. OpenDataSoft is the right solution to open data to the public for better transparency and community engagement. We provide a single go-to platform to store, manage, visualize, find, use and share any government data. Finance, GIS, safety, and energy departments, and transportation operators alike can all share their data on one common platform. Preservica Cloud Edition, hosted on AWS and AWS GovCloud (US), is an affordableand proven way for Government institutions to protect and future-proof vital digital records without needing to invest in local servers, storage or IT resource. Preservica’s active digital preservation software is trusted by over 120 large and small organizations around the world, including 18 US state archives, several US city archives, local UK government, the Met Office, Transport for London and major central government institutions like the European Commission. Endlessly configurable, our platform can automate any of your processes regardless of how specific or unique. SmartSimple can automate every step in your workflow, regardless of how unique the requirement. Cloud-based, the platform can scale up or down and has powerful tools ranging from data collection and analysis to robust tracking and reporting features. Companies of all sizes can now build beautiful, powerful websites with unparalleled security and scalability without compromising design. Solodev is an industry-leading web experience software solution that empowers organizations with Total Design Freedom. Socrata is the global leader in software solutions that are designed exclusively for digital government. Socrata’s cloud-based, Software as a Service (SaaS) solutions, supported by the Socrata Open Data Network and Socrata Partner Ecosystem, deliver unprecedented data-driven innovation and cost-savings for hundreds of public sector leaders and millions of their constituents around the world. Splunk enables customers to gain critical security, operational and economic insights across their AWS and hybrid environment. Splunk software and cloud services enable customers to transform the machine data generated by their applications, infrastructure and services into real-time security and operational insights. Splunk integrates with AWS services such as CloudTrail, Config, Inspector and VPC Flow Logs. OneGovernment is an enterprise solution that offers commercial off-the-shelf software from the cloud, to manage the key corporate function within government. Xacta 360 is the premier solution for cyber risk and compliance management, bringing meaningful insights to IT security specialists, CISOs, and other decision-makers. Xacta 360 operationalizes key security risk and compliance frameworks such as the NIST Risk Management Framework (RMF), NIST Cybersecurity Framework (CSF), FedRAMP, and ISO 27001. Today’s enterprises face a growing number of complex IT risks, both internal and external to the organization. These challenges call for a flexible and responsive solution for visualizing your threat landscape, supporting risk-based decision-making, and ensuring compliance with rigorous security standards across the enterprise. Xacta enables risk management and compliance of cloud-based, on-premises, and hybrid systems. It automates processes for risk assessment, remediation, and ongoing compliance and demonstrates a standard of due care in cybersecurity backed by a body of evidence. Streamline compliance and protect your workloads with agile security, built for AWS and hybrid environments. Defend AWS workloads against threats and accelerate compliance with Trend Micro Deep Security. 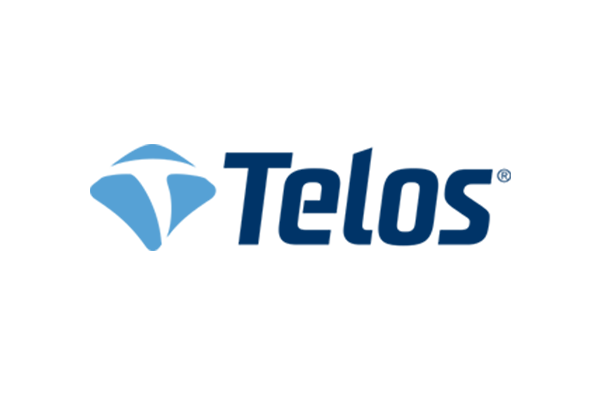 Our host-based intrusion prevention (IDS/IPS), anti-malware, and log & integrity monitoring in a single product you can protect workloads, without impacting agility. Partners that provide managed procurement and contracting services to Public Entities helping them position their organization to efficiently take advantage of the benefits of the cloud. Four Points, a SDVOSB, uniquely focuses on the organizational, contractual, and operational details that make Cloud procurement simple for Federal Agencies. 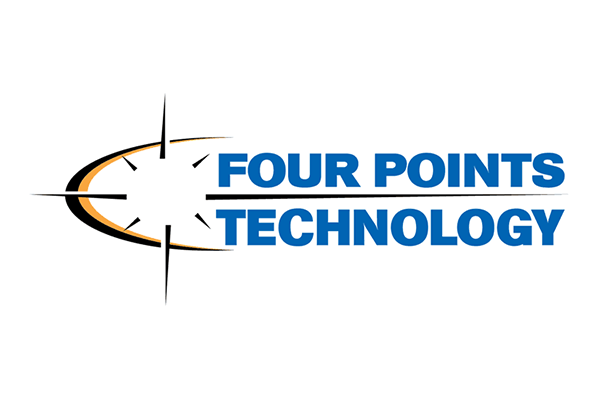 Four Points offers customers dedicated contract management, strong program management, and a federally focused sales and business development team that specializes in delivering leading-edge technical solutions for real-world government initiatives. Are You Interested in Listing Your Government Solution? Partners interested in listing their Government product, solution, or practice must have achieved the Government Competency through the AWS Competency Program.